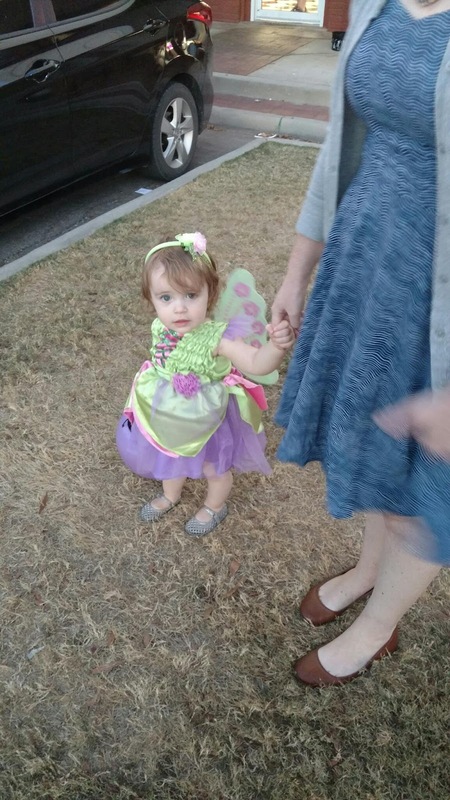 Last year, I missed out on Halloween with Alexis because I was in a wedding, not that there's a whole lot to do on Halloween with an almost 7 month old. 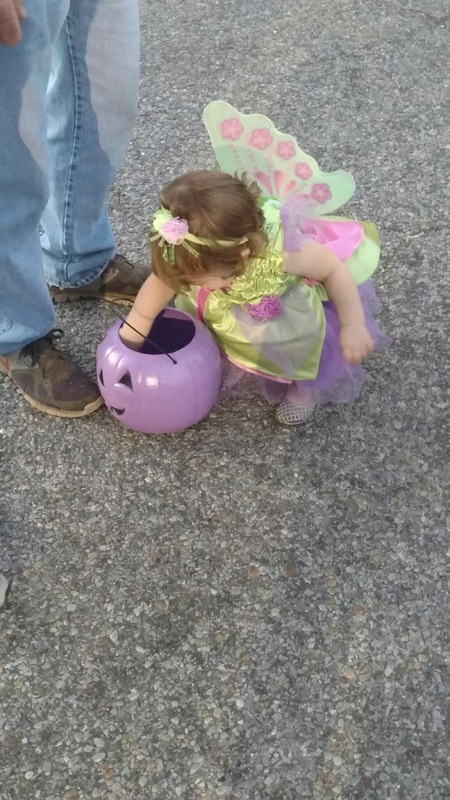 This year we made up for it, and have a pumpkin full of candy to show for our efforts. 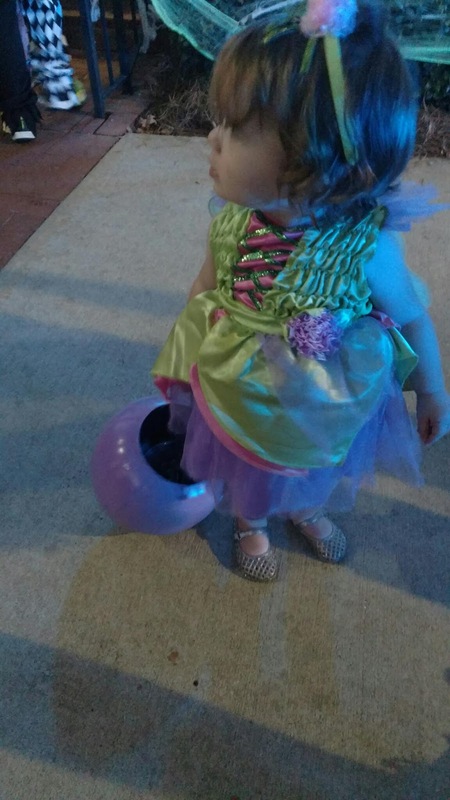 First, we took Alexis to an event in my hometown - Pumpkins on the Square. 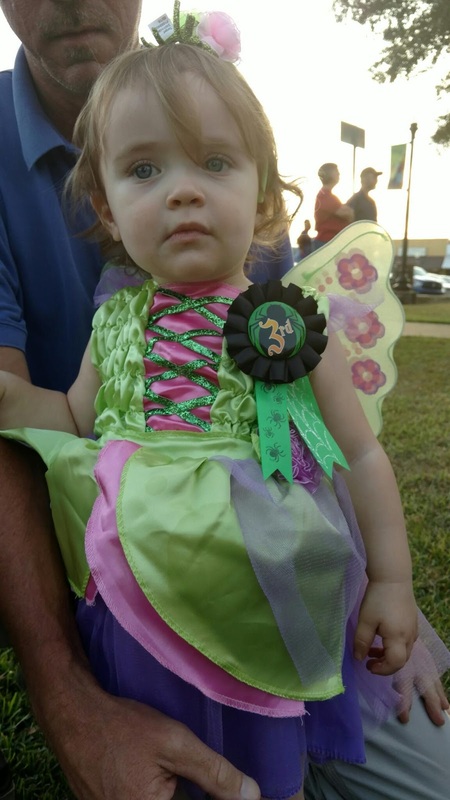 She won third place in the costume contest for cutest contest, and especially liked the bean bag pumpkin game. 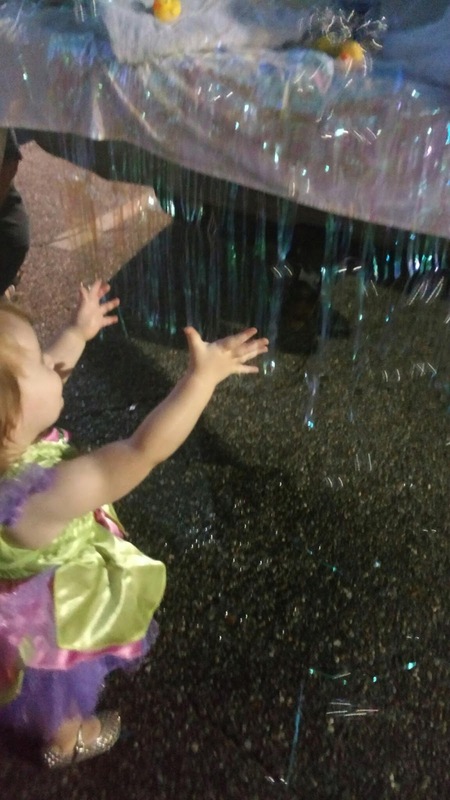 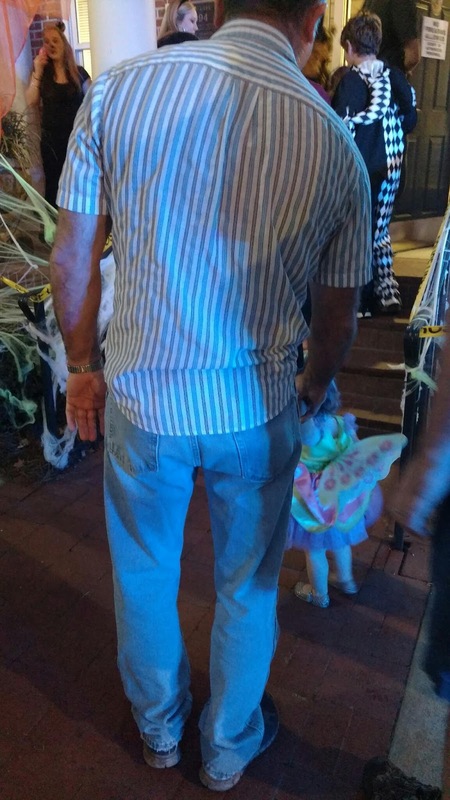 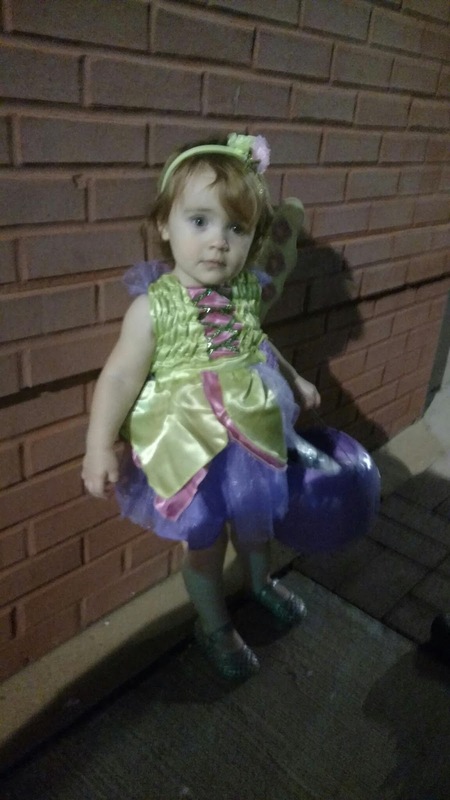 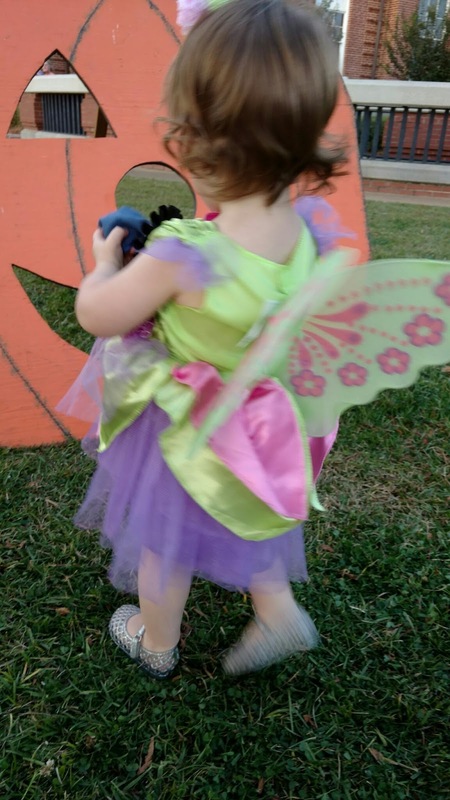 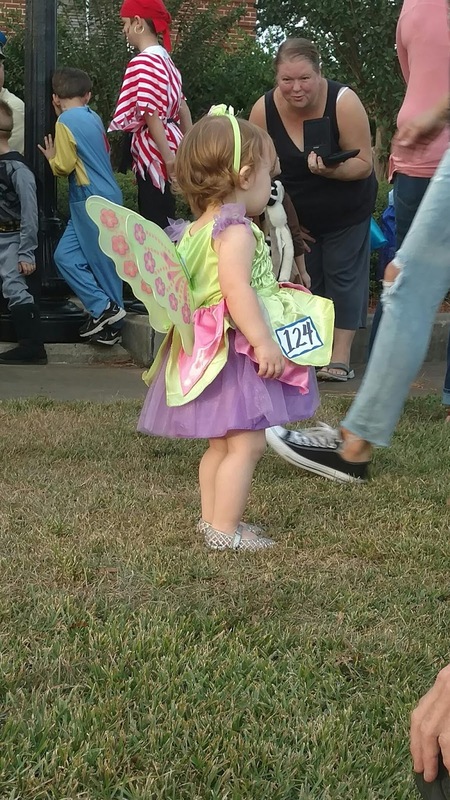 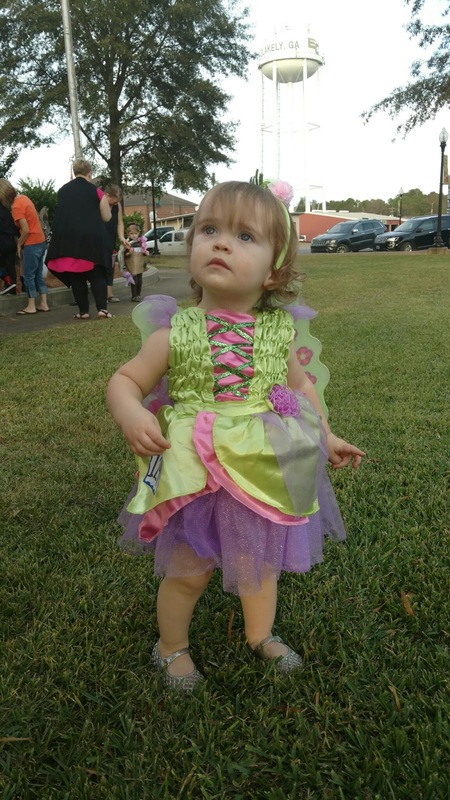 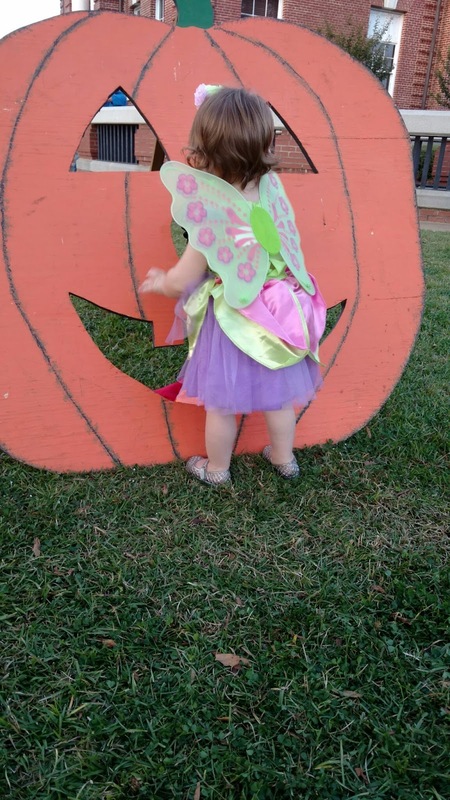 On Halloween, we took her to a trick-or-treating event held on one of our area town squares. 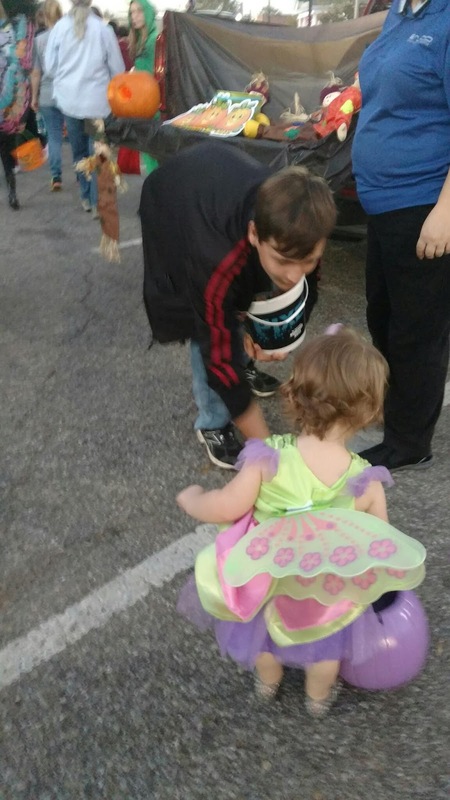 Churches, businesses and individuals set up around the square handing out treats. 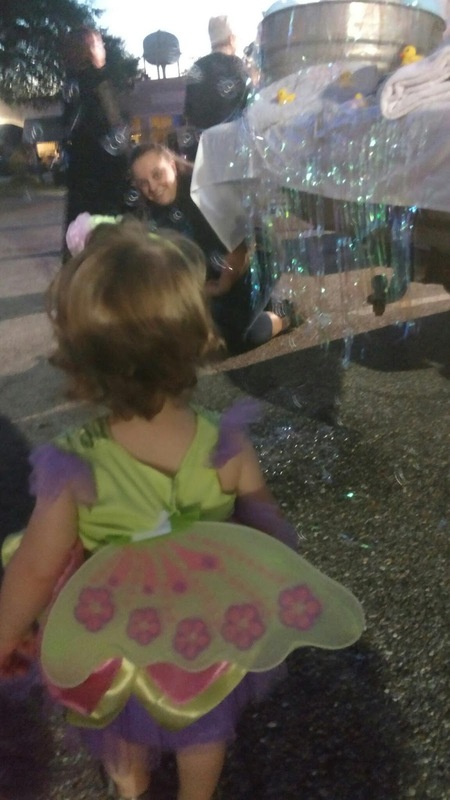 There's also music and inflatables for the kids. 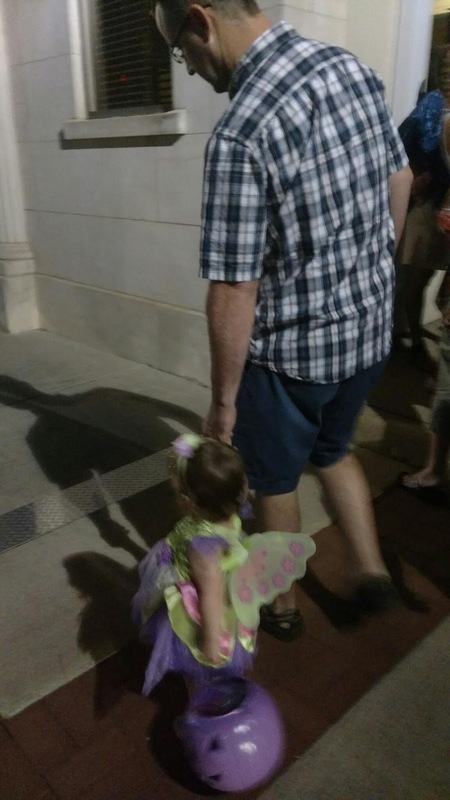 Hundreds of people come out.